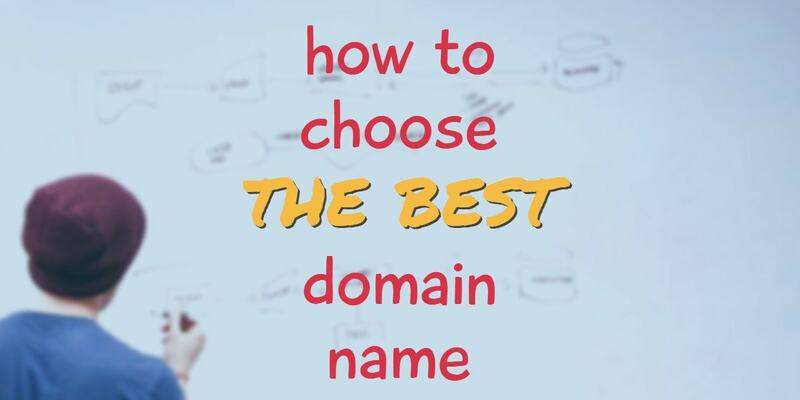 Choosing a domain name is an extremely important part of launching a website, blog, or online business. 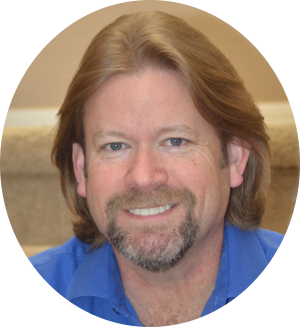 You need to choose very carefully as it will be the foundation of your online presence. Much like choosing a company name, it requires a lot of thought and consideration. It’s your identity on the web. You want to make sure that you’re choosing a domain name that fits what you’re trying to promote whether that’s your business or yourself. But you also want to pick a domain name that is easy to find and easy to remember. Top Level Domains are the extension, or what is at the end of any domain name. For example, if you look at the address bar at the top of your screen here, you will see that you are on the site www.yourbigscene.com. The .com is the top level domain. There are literally hundreds (over 1000!) of top-level domains available. If you’re curious, you can find the list here. There are so many to choose from that you’ll probably be a bit overwhelmed as you start looking at the list. .club, .tech, .expert, .academy… the list is mindboggling. But don’t worry, we’ll narrow it down in a hurry. You should be concentrating on 3 of them. Get a domain name with a .com extension if at all possible. If someone is searching for you or your brand, they will naturally try typing in the .com first, and then continue on to the other 2 before either giving up or doing a google search to find you. Everybody should own their name as a domain name and have all the major social media accounts too. Even if you’re not going to brand your blog after your own name (Your Big Scene vs Dee Hathaway, for example) you should get your name or as close to it as you can. Consider choosing a domain name with your name in it as an investment in your personal brand. Many people have built extremely successful online brands around their name. Gary Vaynerchuck, Ray Higdon, and Tony Robbins are just a few who have built their site, and their brand, around their name. 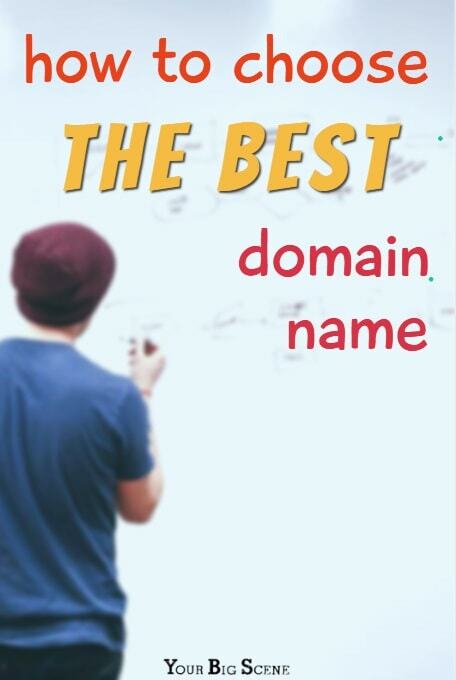 If you already have a business name choosing a domain name is going to be a lot easier. Use the following link to see if it’s available. If that name is not available or If you are still trying to decide on your business name, try choosing a domain name by focusing on your brand or niche. When choosing a domain name, try thinking of keywords that describe your business and/or the services you want to offer. For example, if your site will be about eating healthy while on vacation, consider names such as travelingketo.com or eatingaway.com. Using keywords in your domain name can also help you rank on search engines such as Google or Bing. 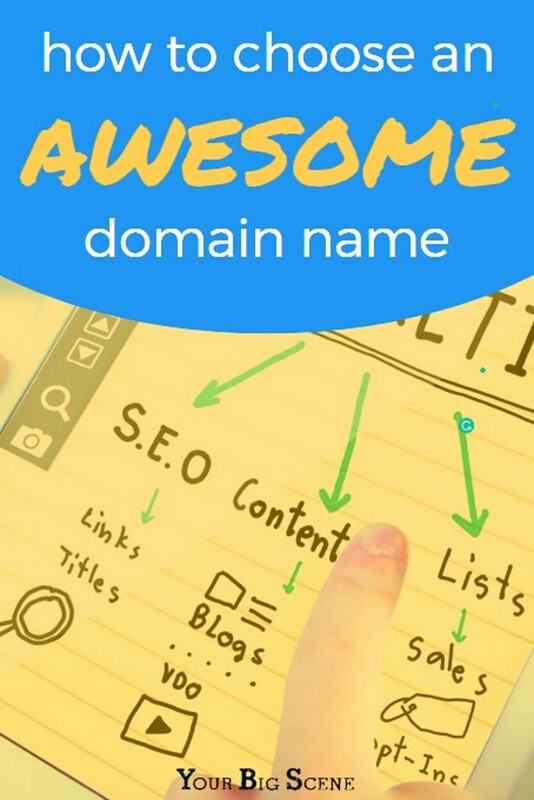 Choosing a domain name that includes words or phrases that people often search for online helps your SEO (Search Engine Optimization… a different subject for a different day) by letting them know what your site is about. Keep in mind that choosing a domain name based solely on keywords might not necessarily help you rank with search engines. The companies who run search engines are smart and have caught on to people choosing domain names just to get traffic to their site. So make sure that you are choosing a domain name based on what your blog will really be about, not just what keywords are popular. You can also consider turning your desired name into a phrase. Make JohnSmithRealEstate be JohnSmithSellsHomes. If you need some helpful suggestions, I highly recommend checking out domainsbot.com. It’s free and full of suggestions. Just remember to ignore all those kitschy top-level domain names the site will suggest. Your domain name should be something that is easy for people to remember, and easy for them to associate with you or your brand. Don’t get cute with spelling… don’t make up words… don’t try using those crazy shorthand spellings all the k1dz r usng thees daze. Pick a name that your grandma would be able to remember. And that she’d be able to spell. Choosing a domain name is just one part of your overall branding strategy. You’ll also want to make sure that you can get social media accounts using the name that you choose. When I first created yourbigscene.com, I also made sure that I was able to secure social media accounts with the same name. I also set up Google accounts, including Gmail and google+, for yourbigscene. You don’t want to have a website cutelittlepuppies.com and have to use puppiesarefun for your Instagram account. Make sure your brand is the same across all platforms. it’s cute to choose a domain name that centers on what’s going on in your life right now, but what happens when things change? If you pick a domain name about raising your 2 toddlers, what will you do in a few years when your blog mommyoftwotoddlers.expert (see bullet 1) when your toddlers are now teenagers? Pick something that is indicative of what your site is going to be about, but not so focused that it can’t grow and change with you. Apple. Google. Uber. Yahoo. Zillow. Yelp. We remember these domain names not only because of the great branding strategies behind them, but because they are short and simple. When you are choosing a domain name, don’t be tempted to get cute or use really long “keyword” based names. Keep the spelling normal, so that people can easily remember it and type it without trying to figure out tricky spellings. Make it easy to type and more people will type it! I once bought the domain name “easywaystoloseweightathome.com”. That’s a long-tail keyword, but not a great website name. 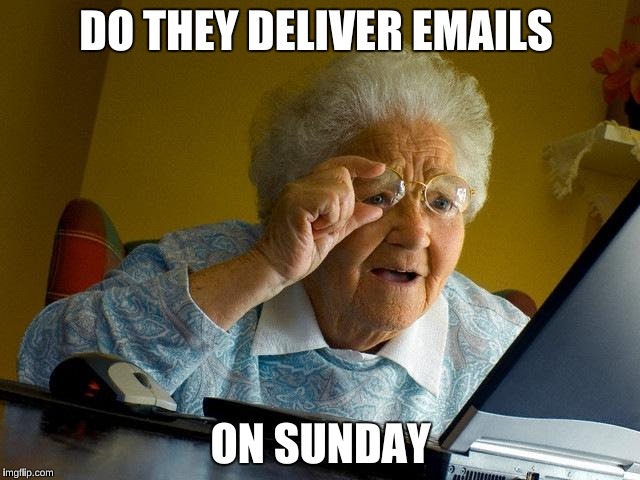 Think about sending an email to info@easywaystolose….. never mind. It’s too much. I bought it in a moment of internet marketing madness. It’s a great name if you want to rank high on Google for “easy ways to lose weight at home”, but it’s terrible if you’re building a brand. Try fitting that on a business card or t-shirt! If I had chosen to purchase your-big-scene.com, whoever had the domain name yourbigscene.com would not only be first in the search engines but would also get all the traffic. So glad I have yourbiscene.com! Don’t get caught up in the temptation of using dashes to get the name that you want. Imagine that you have heard about yourbigscene.com and want to check it out. You’re not going to think about your-big-scene.com. Most people would never think to add dashes when searching for your site, and you will end up with a domain name that is far from desirable. Save the dashes for your track and field events. Choosing a domain name might take a lot of planning and research, but it doesn’t have to be a long, drawn-out struggle. Just follow these simple rules and you’ll be online in no time! If you need to run your idea by me, go ahead and drop me a comment below. I’d be happy to help out!